4 of a King casino slot game by Endorphina online slots is a different looking game right from the start – it very much looks like a video poker game. This is because of the low valued symbols, they all look like face-down playing cards. And since most of the reels are filled with them, it is easy to think that you are going to play a poker game – a nice illusion. The graphic quality is very good, the game has a theme of casinos in the 60’s. Although the game doesn’t offer any advanced and innovative features. 4 of a King online slot game by Endorphina is a classic video slot game by all means. The game has 5 reels, 3 slots and 10 pay lines. A free slots no download version is available for risk-free gaming. Apart from the low-valued ones, the high valued symbols are three in total. They consist of pictures of casino players and the dealers, with a payout range of 1.000 to 100.000 coins. (The maximum payout of the low valued symbols is 20.000 coins.) There is only one special symbol: wild. 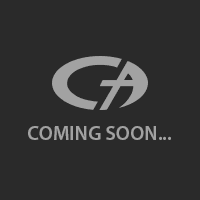 It looks like a poker chip with a “wildcard” sign on it. The wild symbol substitutes for all other symbols in the game, and it has an expanding feature. In other words, if you manage to land the wild symbol on any of the reels, it expands to cover the entire reel and boosts your chances of winning. There are no scatter symbols, free spins, multipliers or bonus rounds in the game. Although, there is a gambling option. After each winning pin, you are asked to play a mini card game. The goal is to pick the card with the higher value than the current one – if you win, you double your winnings. You can bet between 1 and 100 coins per spin, and the payout values depend on your bet levels. In other words, to get the maximum prize, you need to bet maximum (1.000 coins). You get 1.000.000 credits in the demo version, so it is possible to play for hours without paying anything. 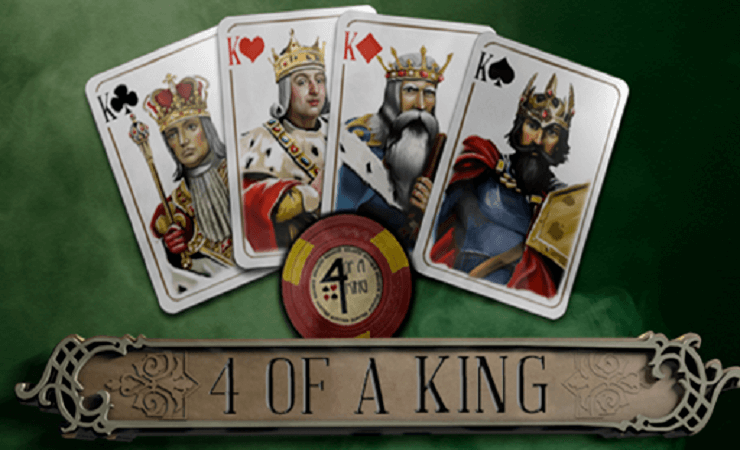 4 Of a King is a classic video slot game with high rewards, so if you like to play casino slots online and looking for an entry-level game, it will be a good alternative.